It’s never fun waiting for an appointment or sitting in the carpool line but now I’ve found the perfect way to keep myself entertained! 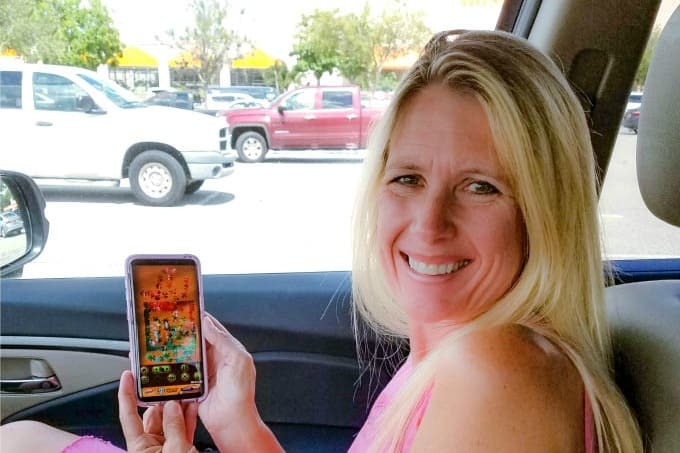 The Jigsaw Puzzle app is both challenging yet relaxing and best of all, it’s free! As work at home mom, I’m lucky if I can get a few stolen moments of relaxation during the day. When those moments pop up, I want a quick way to unwind and I’ve found the perfect solution! It’s called Jigsaw Puzzle and I can pull it up and play right on my phone. These puzzles are perfect for my on-the-go lifestyle. I don’t have time to get invested in games that require my full attention or are too in-depth. These are great for killing time in a doctor’s office waiting room, the carpool line or waiting to get a coffee at the coffee shop. Sometimes I just need to relax my brain a little bit while I’m working, but I only want to take a 5- or 10-minute break. I can play a quick game or continue playing one I’ve already started. All I have to do is open the Jigsaw Puzzle app on my phone and I can start solving puzzles. There are over 20,000 to choose from so I can have a new puzzle a day for, well, a very long time! There are mosaic layouts, quilting patterns, or beautiful scenic shots of nature. The nature puzzles are my favorites. They’re challenging but because they’re so pretty, I find them relaxing too. I really like that the Jigsaw Puzzle app allows me to choose the level of difficulty too. For quick and easy games, I can choose fewer pieces. If I want to spend a little more time on it, I can choose up to 400. 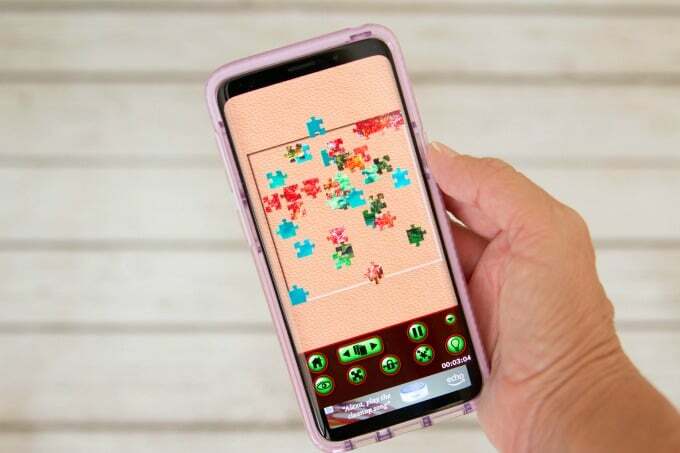 With a tablet, the app lets you go as high as 1,024 puzzle pieces! That might take awhile to solve! or have the Jigsaw Puzzle app display just the edges first (my favorite way to play). 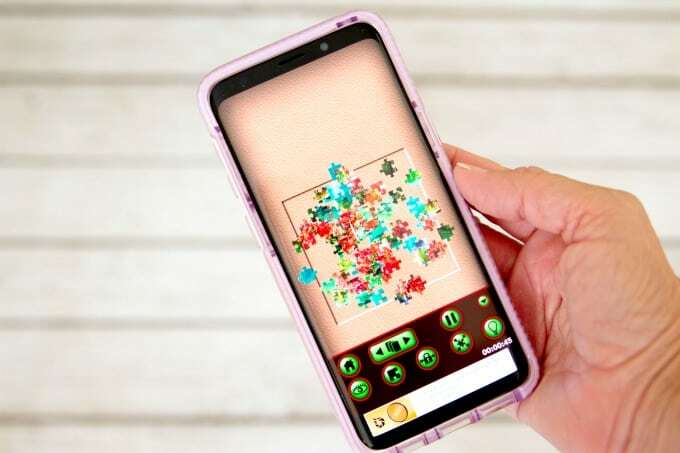 You can spread out the puzzle pieces across the game board in this highly visual app. It’s like working on a puzzle at your kitchen table – minus the mess and stress of keeping track of puzzle pieces! Plus, you can take it with you anywhere. You can’t do that when you play on the kitchen table! 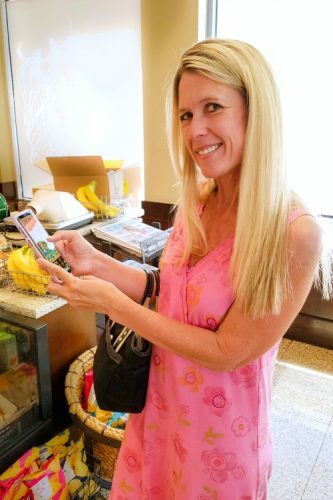 Between being a mom and owning my own business, my mind is always active and even when I’m at rest, I still like to be engaged. 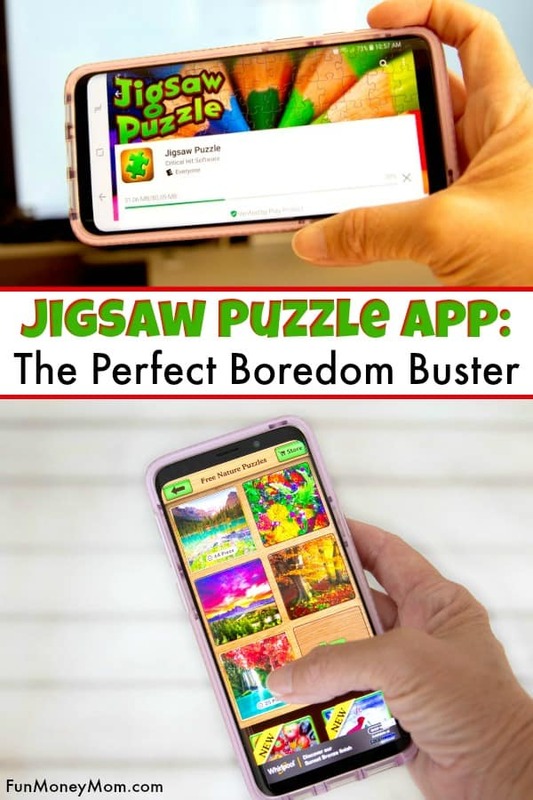 The Jigsaw Puzzle app is a great way to relax while also working on a brain teaser. I’m not going to lie, there’s definitely a sense of accomplishment when completing a puzzle, especially when I play one of the more difficult ones! I feel like even though I’m playing a game, I’m being productive because I’m exercising my brain. When I feel like taking a quick break from work, I squeeze in a puzzle. 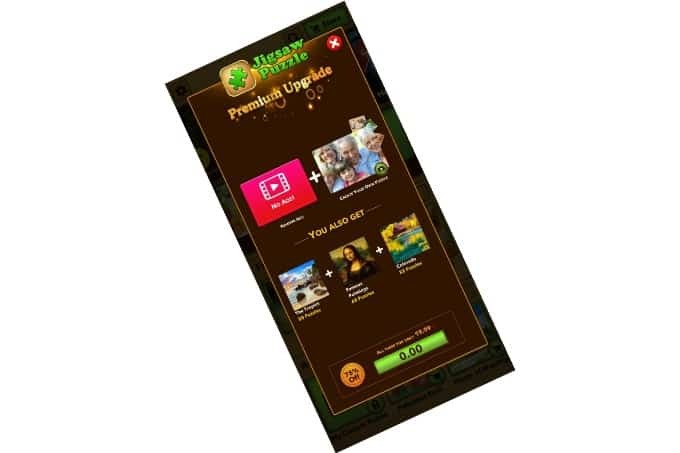 In addition to the free daily puzzle, the app also offers packages of free puzzles by category. There are more than 20,000 puzzles to choose from and I like being able to choose a different puzzle each day. It keeps things interesting and I don’t feel like I’m playing the same game over and over. If you’re a serious puzzle fan, you can upgrade to a paid package. You can search puzzles by different interests like kids and babies, Europe, beach cities, food, fantasy, stained glass and more. There are so many different options! It’s a great deal too since the packages are just a few dollars and come with a good number of puzzles.. 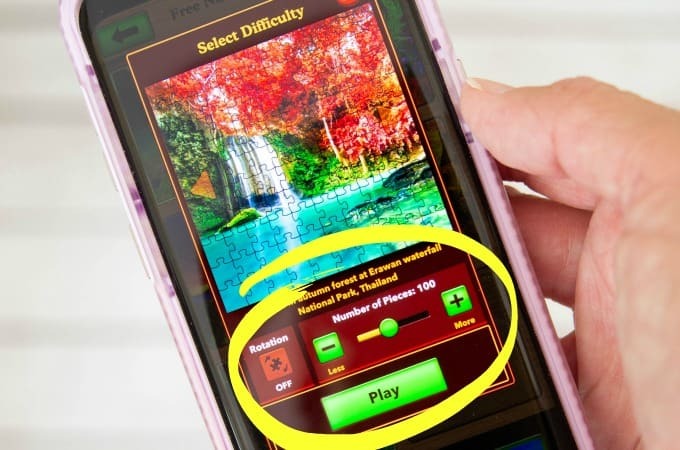 The app even allows you to customize your puzzles to enhance your playing experience. 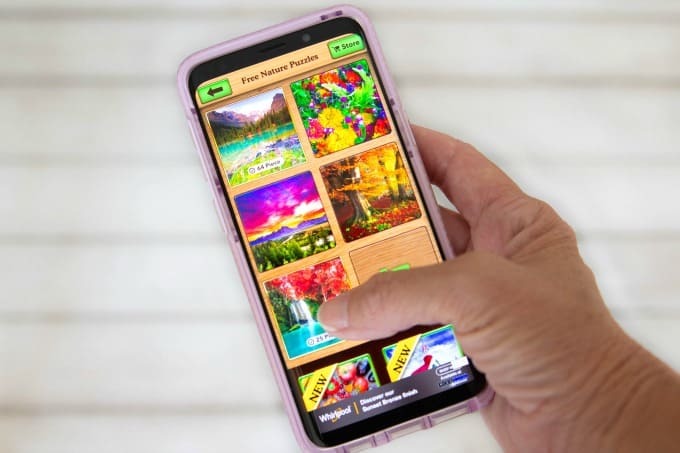 You can choose different backgrounds for your game board, select music to listen to while playing and even create puzzles from your own pictures. How fun would it be to create jigsaw puzzles from pictures of the kids. I think that’s next on my list after I finish my nature puzzle! 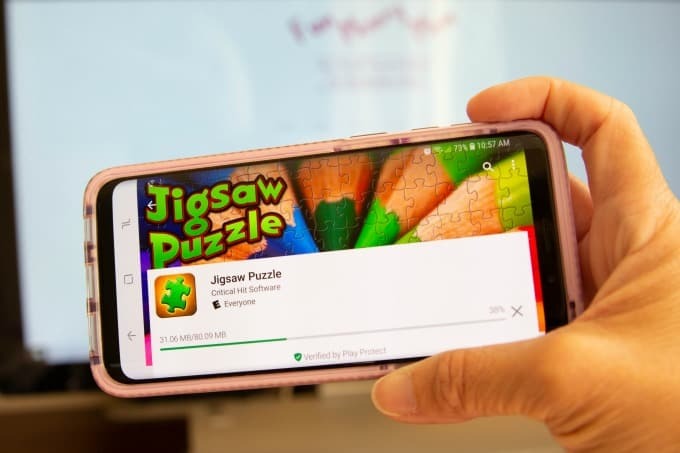 Jigsaw Puzzle is a free download available in the Apple Store and Google Play. If you’re looking to kill time, unwind or just feel like challenging yourself, be sure to check it out!